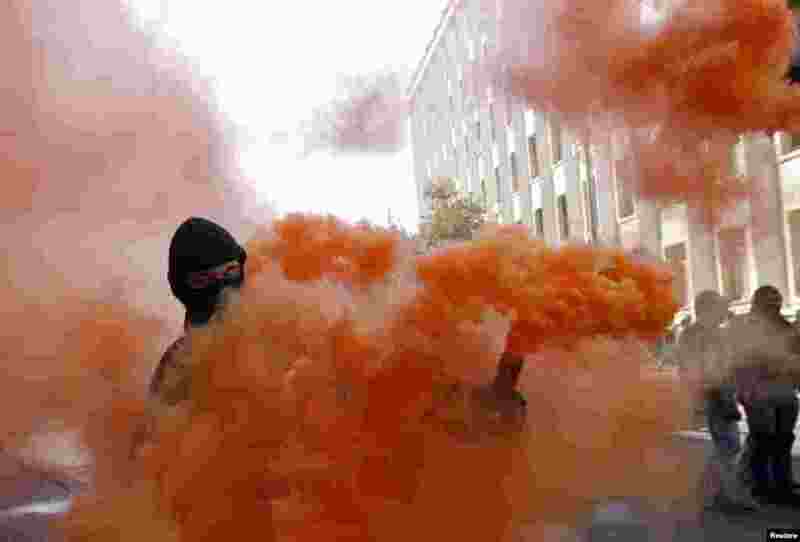 1 A protester holds a smoke flare during a rally against the law to provide separatist-held regions with a special status near the Ukrainian parliament in Kyiv, Sept. 17, 2014. 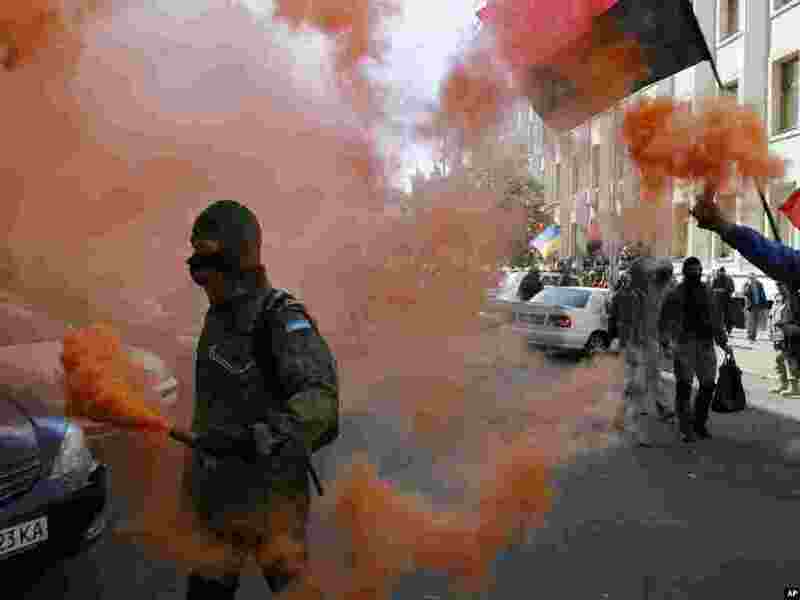 2 Activists from the Right Sector party ignite flares near the presidential administration building during a rally in Kyiv, Ukraine, Sept. 17, 2014. 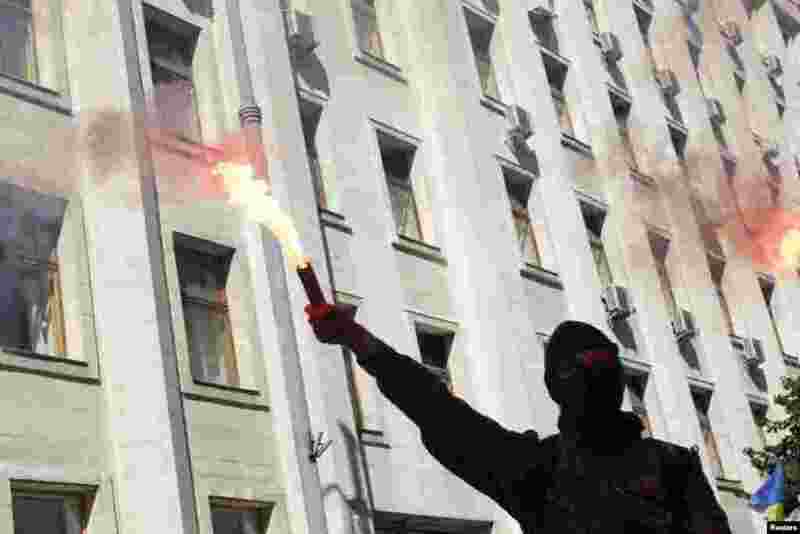 3 A protester lights a flare during a rally against the law to provide separatist-held regions with a special status near the Ukrainian parliament in Kyiv, Sept. 17, 2014. 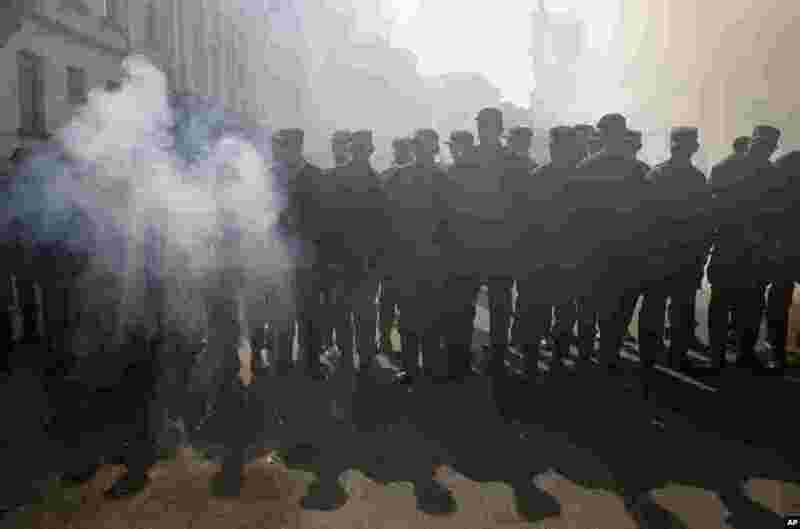 4 The National Guard protect the Presidential Office in Kyiv, Ukraine, Sept. 17, 2014.